NOW HIRING both Full Time and Part Time Drivers for County Express at Northeast Colorado Association of Local Governments in Fort Morgan and Sterling, CO. This position has a starting wage of $11.25 per hour and full-time positions include a benefits package and PERA retirement. Benefits include sick/vacation pay, holiday pay, PERA retirement benefits, and health benefits. Applicants MUST have valid drivers’ license and be able to pass a background check and drug screen. 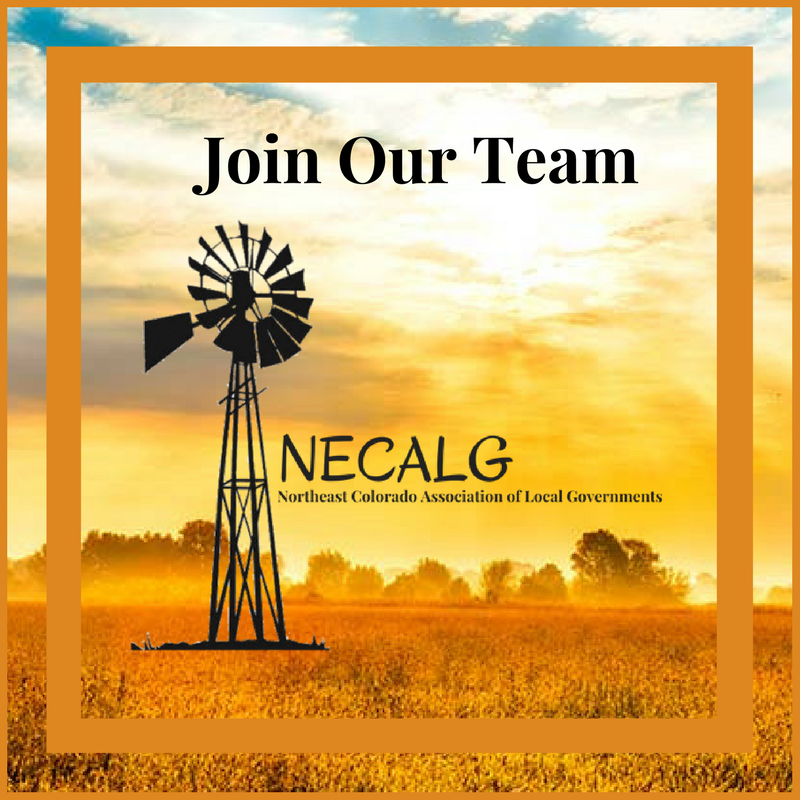 Application and detailed job description may be found below or at the Northeastern Colorado Association of Local Governments Office. For more information please call 970-867-9409 ext 229.